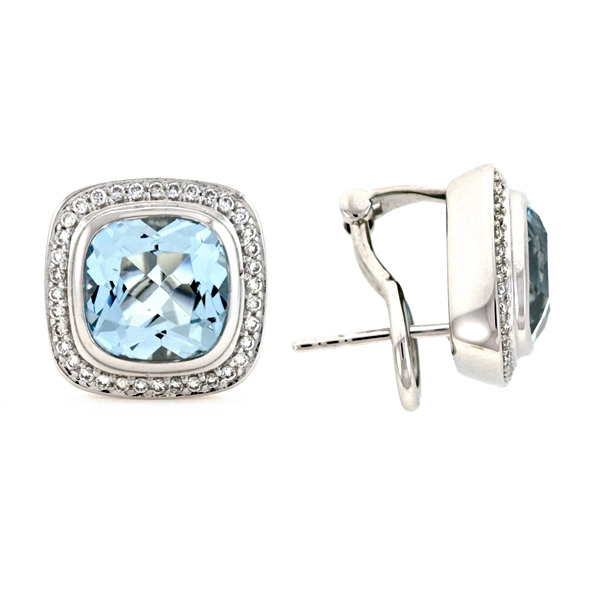 18K SQUARE WHITE GOLD AND AQUAMARINE OMEGA CLIP EARRINGS. 0.36ct. DIAMONDS. MATCHING PENDANT ON THIS SITE.